A Shock to the System is a guide to the decisions that will be faced by electricity providers, customers, and policymakers. Produced by a team of analysts at Resources for the Future, this concise and balanced work provides background necessary to understand the increasing role of competition in electricity markets. The authors introduce important concepts and terminology, and offer the history of public policy regarding electricity. They identify the significant proposals for implementing competition, and examine the potential consequences for regulation, industry structure, cost recovery, and the environment. 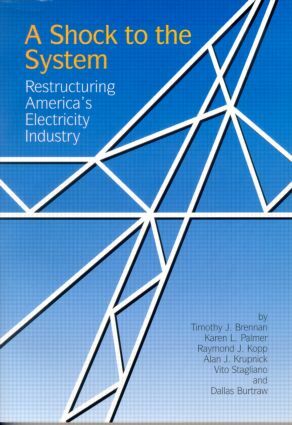 Introduction: Why Care about Restructuring the Electricity Industry?